1.6L 20 Valve Silvertop - Koni Yellows / Eibach Prokit springs - 13 x 8 Diamonds 'n Hoosiers - White 'n Blue Rustoleum - Lots 'o little bits and pieces, too many to list. Feb 26, 2009 9:47 p.m. Excellent looking Mr.Two. Must be loads of fun with the 20V. Feb 27, 2009 11:32 a.m. The 20v swap was just so worth the effort. It's alot like the 16v that it came with, just more of it in all the right places. Mar 6, 2009 7:43 a.m.
Hey, I've seen that car. I might have even taken that picture! Apr 8, 2009 11:46 p.m.
Has anyone successfully turbo charged a 20V, seems to me 5 squish points would make an exceptionally cool combustion chamber. Less restriction= less boost pressure= lower boost temps= more CFM. Right? Apr 9, 2009 8:07 p.m.
People on the MR2 Owners club site have done it, It's a bit tricky with the 4 throttle bodies though. The stock intake plenum doesn't look like it would lend itself to pressure well. Going to a single throttle body could be done but removing the ITB's kinda takes away from what makes the motor special IMHO. That said, it would be riot with 5-7lbs of boost. May 15, 2009 9:04 a.m.
May 22, 2009 10:35 a.m.
Nice deuce indeed (got my vote). 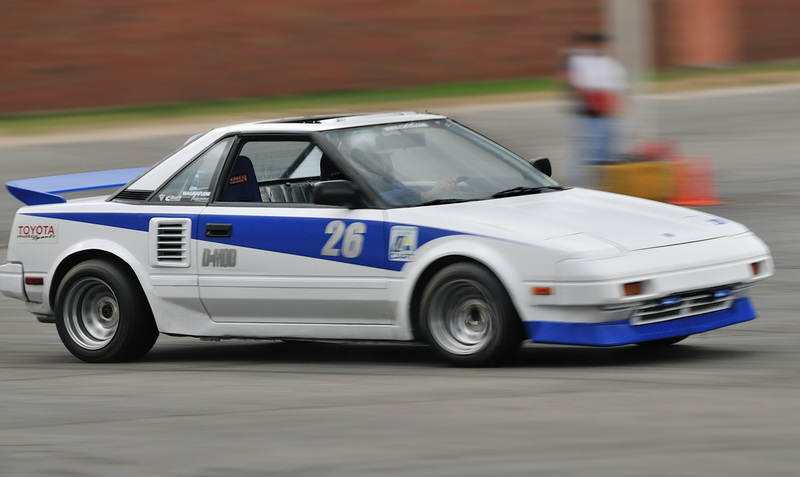 With the blue-on-white graphics it kinda reminded me of Steve Holescher's DP national winning aw11. Are you autocrossing? Road racing? What class allows you to use the 20v? Jul 16, 2009 10:02 a.m.
Andy, I'll PM you over on the CART board - I do have a set of 13's for sale. Matt B - Thanks! 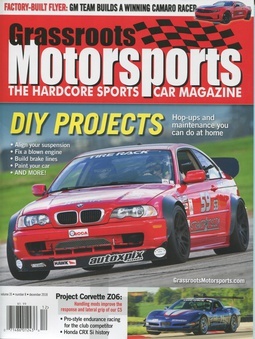 - I run the car in D-Mod autocross and a few time trial days here and there, mostly for fun as I'd get crushed at the National level, but i'm usually in the top 10 or 15 raw times with it at local events. I missed FTD this past weekend by .025 seconds (DOH!) for a 3rd overall finish. Dec 29, 2009 12:43 p.m.